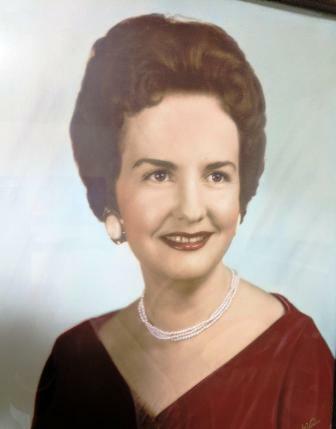 Mrs. Margaret Lee Owens passed away Saturday March 16, 2019 in Boise, Idaho at the age of 86. She was born August 5, 1932 in Kentucky. She was raised in the Somerset, Kentucky area. In 1950 she wed husband Fred and moved to Dayton, Ohio where they raised their family. In later years residing in Miamisburg, Ohio they enjoyed family, friends, neighbors and antique auctions. Margaret’s special love was for her little dogs. Margaret is preceded in death by her loving husband; Fred, by her parents; Noel and Della Price, by one brother; John Eddie Price, and by one sister; Betty Burdine. She is survived by one son; Jim Owens and (Becky). One daughter; Debbie Parks and (John). By Grandsons- James Owens, Joseph and (Jody) Owens, and J.K. Farris, by great grandchildren- Benjamin and Elle Owens and Aidan Owens, by one brother; Oma Lee Claunch and (Janet), and by one sister; Patricia Sutton and (Clayton) . She will also be lovingly remembered by two sister-in-laws, and many nieces and nephews. Funeral services for Mrs. Margaret Lee Owens will be conducted 2 PM Saturday March 23, 2019 at the Cox Funeral Home with Bro. Luther Allen officiating. Burial will follow in the Friendship Cemetery. Arrangements are by the Cox Funeral Home friends may visit from 1 PM until time of service on Saturday.